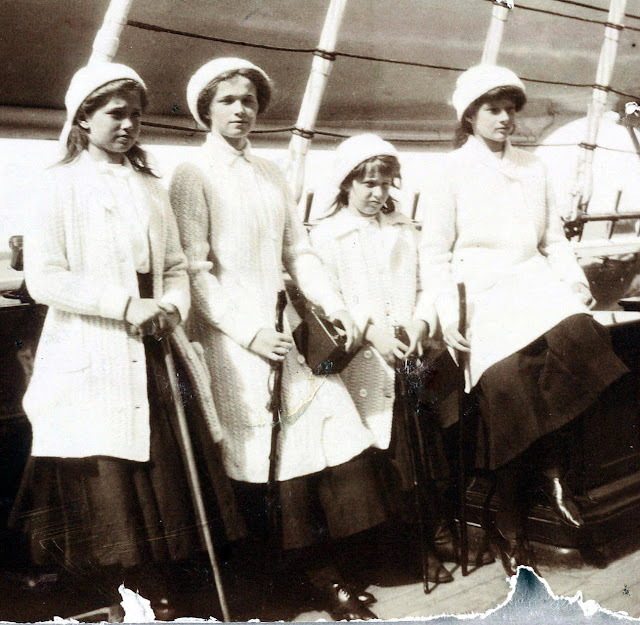 Maria, Olga, Anastasia, and Tatiana (ltr) on board of the Imperial Yacht Standart in 1911. The Grand Duchesses Olga, Tatiana, Maria, and Anastasia Nikolaevna of Russia choose one autograph for the four of them together: OTMA. These daughters of the last Tsar were brutally murdered at July 17, 1918. Their remains are interred in the Chapel of St. Catherine the Martyr in the Cathedral of St. Peter and St. Paul in Saint Petersburg, Russia. 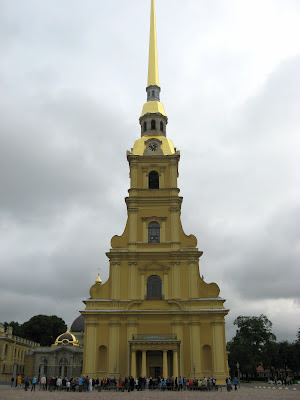 The Peter and Paul Cathedral (its golden spire reaches a height of 404 feet, too high for me to capture it completely on the photo). I’ve never seen that photo of them before. It’s nicely informal. The photos of the Czar's family are always so lovely. I've never seen this photo before. It is still heartbreaking. this is such a beautiful photo.. Yes I have, they're like twins!